Taco Seasoning Recipe - Bake.Eat.Repeat. 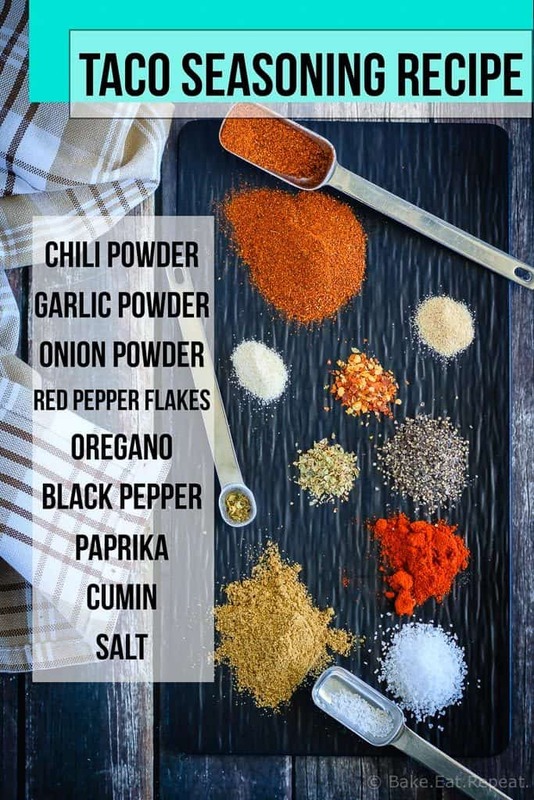 This taco seasoning recipe takes just minutes to mix up, and you probably have everything you need for it already – you’ll never have to buy it again! We love Mexican food around here. Taco Tuesday happens pretty much every week. Not always on Tuesday, but whatever. I always think it’s kind of funny that my boys love the phrase “Taco Tuesday” so much that they’ll announce gleefully to their father as he walks in on a Friday night that “it’s Taco Tuesday Dad!!”. Evidently having tacos for supper means it’s a Tuesday. So, tacos are a hit here. Most of the recipes I use, like these Sheet Pan Chicken Fajitas, involve mixing up the seasoning when making the recipe, but there’s always a few that use a taco seasoning mix and I rarely buy it. So I was happy to find a recipe for it that is as good as the store bought variety. I love that I can make something like this Chicken Taco Chop Salad that uses taco seasoning in the dressing without having to go out and buy a special packet of seasoning. This taco seasoning recipe mixes up in minutes, and you probably have everything you need for it in your pantry already. 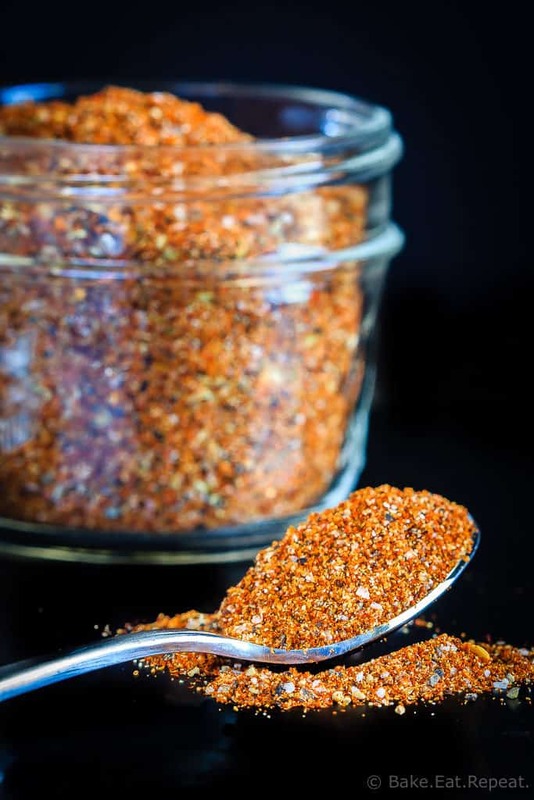 This taco seasoning recipe is so easy to make, it now has a permanent home in my pantry, along with batches of this homemade cajun seasoning recipe. 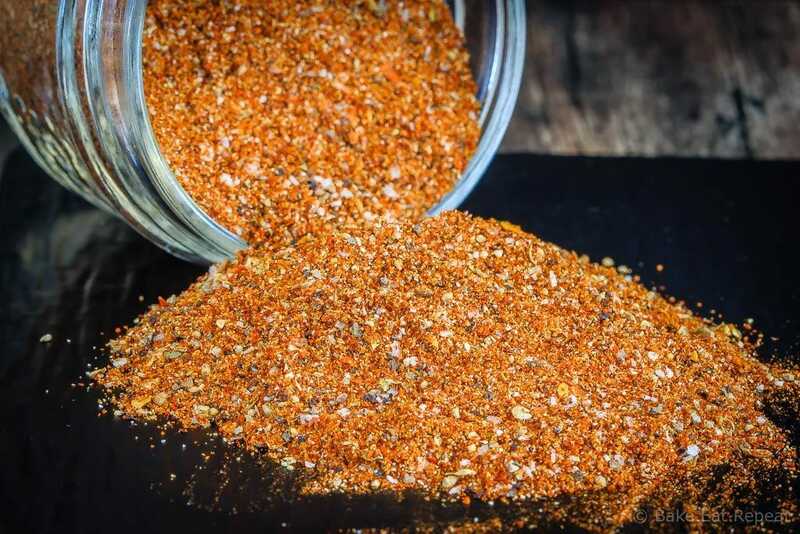 Homemade seasoning mixes are the best – and this taco seasoning recipe makes Taco Tuesday possible any day of the week! here are some more Mexican flavoured meals for your Taco Tuesday’s: Shrimp Quesadillas with Avocado Cream, Mexican Baked Pasta, and Southwest Stuffed Spaghetti Squash. In a small bowl, stir together the chili powder, cumin, pepper, salt, paprika, garlic powder, onion powder, oregano and red pepper flakes until well combined. Store in an airtight container or jar at room temperature. Is there any way you could include nutritional info with your recipes?I really like your website,but do not make too many of the recipes as I must be very careful of sodium content. Thank you for all of the time you have to devote to recipe invention. Hi Barbara, I actually don't include nutritional info as it can change a lot depending on which brands you use for some things. Since you're not necessarily using the exact same products I am it may not be accurate for you. There are many online nutrition calculators though that you can copy and paste the ingredients into and it will give you the info, just google nutrition calculator and you'll find one.